A Krasnodar Regional Court has sentenced a leader of the gang and two fellow killers held responsible for 18 murders in southern Russia, including the brutal slaying of three families in the village of Kushchevskaya in 2010, to life in prison. Sergey Tsapok was described in court as terrorizing the region for over a decade, while prosecutors said his two accomplices were the "main killers of the gang." According to prosecutors one defendant, Igor Chernykh, was involved in the most brutal crimes, in particular, the murder of children, including a nine-month old baby. In 2010 the bloody slaughter of 12 people, including four children, in the Krasnodar region village of Kushchevskaya, shocked the whole country. One night in November several killers burst into the home of a wealthy farmer, murdering him and his entire family, as well as their guests. Most of the victims were stabbed to death. In an effort to cover up the crime, the killers set the house on fire. The criminals then went into hiding. Some headed to Ukraine and others to Rostov, while Tsapok, like his accomplice Sergey Tsepovyaz a deputy on the local council, allegedly hid out in Egypt. Tsapok and several suspected accomplices were arrested in late November 2010. Their trial in the Krasnodar Regional Court began a year ago. All the suspects were well-regarded village residents. Investigators were even more appalled when they discovered that the brutal slaying of 12 people members wasn't the only one orchestrated by Tsapok, who exercised influence over local law enforcement. An officer of the local police unit for fighting organized crime allegedly covered up for the gang. When the gang members were arrested, residents of the Kushchevskaya began telling the authorities of the atrocities perpetrated in the village. All of them denounced Tsapok and his henchmen. After the defendants were detained, investigators announced that dozens of other crimes, which had long been gathering dust in the files, would be reopened, and soon several local and regional officials were fired. On November 8, the jury found the six men accused of the 2010 massacre guilty on all counts. Lawyers for the convicted gang members said they plan to appeal the verdict. "The defendants were not involved in the crimes of which they were accused," one of the defenders, Vyacheslav Dmitrienko, said Tuesday. During the trial, the defendants retracted confessions they gave during the investigation, saying they had confessed under torture. The Prosecutor General’s Office dismissed the defendants' allegations as groundless, however. At Monday’s hearing, Tsapok maintained his innocence, saying he hoped to be released. "I want to address the journalists present in the courtroom: We'll meet again. I'm not going to commit suicide like Vitaly Ivanov and Sergey Karpenko [gang members], if, of course, I don't get killed," Tsapok said in his final plea on November 18. Tsapok urged journalists and law enforcement agencies to leave his family alone. "There's one thing I want to ask you – leave my family alone. Release my mother. What is she serving time for? Why has she been given three years? And why did the mother of my children come under attack?" Tsapok said. On November 15 Tsapok's mother, considered to be the mastermind behind the crimes, was sentenced by the Kutshevsky District Court in Krasnodar region to three years of imprisonment in a penal colony, and fined 500,000 rubles ($15,000). 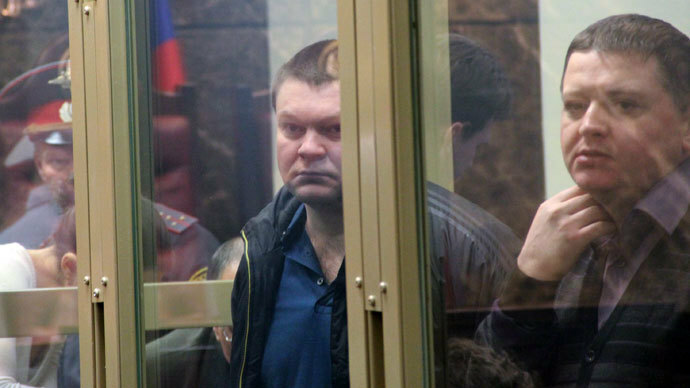 Five other defendants, Sergey Tsapok's uncle Nikolay among them, delivered their last pleas on November 14. They also maintained did not recognize their fault either, and asked the court to acquit them. The jury found them guilty, and said that none of the gang members deserved leniency. 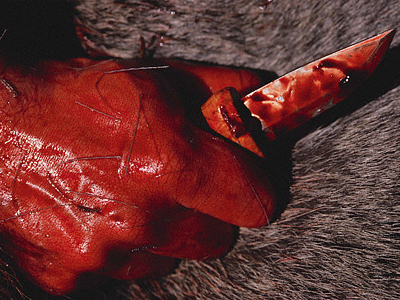 According to investigators, the Tsapok gang terrorized the village of Kuschevskaya from 1998 to 2010. At first Nichoy Tsapok was its leader, and the first murder of Ivanov, a businessman, was committed by the gang in 1998. However, in 2002 Nikolay Tsapok was killed and his brother Sergey took over. Prosecutors said Sergey Tsapok "was burning with revenge for his brother." 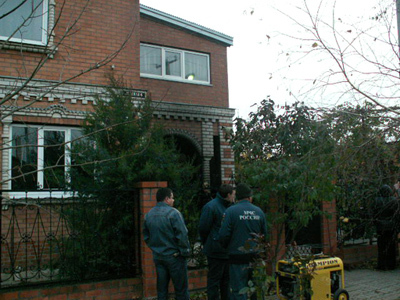 Investigators hold the gang responsible of the murder of 19 people, including the massacre of the 12 people in farmer Server Ametov’s house in November 2010. Investigators say that Tsapok considered Ametov to be the person who ordered the murder of his brother.